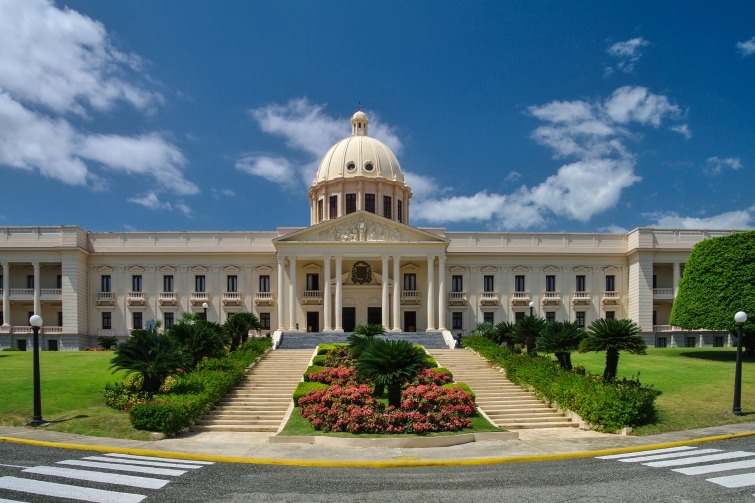 Top 10 Tourist Attractions in the Dominican Republic - Caribbean & Co. The Dominican Republic is the undisputed most popular tourist destination in the Caribbean. The Dominican Republic which shares the island of Hispaniola with Haiti has on average 6.1 million people visiting for vacation. That is 2 million more than Cuba, the second most popular tourist destination in the Caribbean. 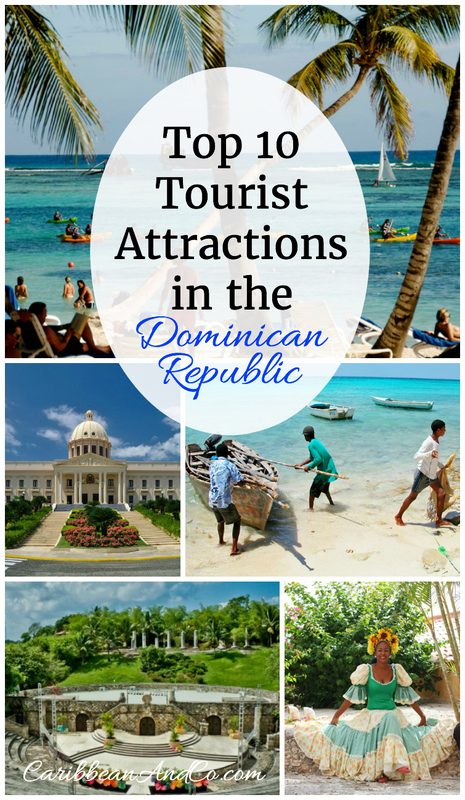 So what are some of the more popular attraction in the Dominican Republic? Below we list out the top 10. 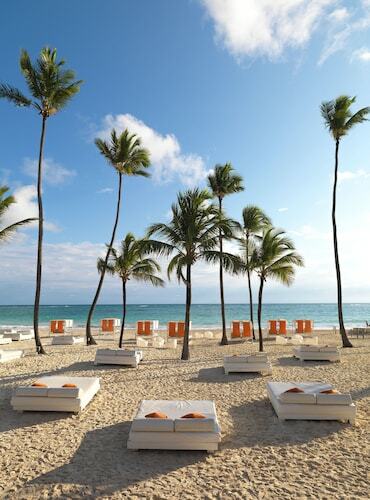 Thousands of tourists flock the beaches of Punta Cana, one of the most popular resort destinations in the Caribbean. 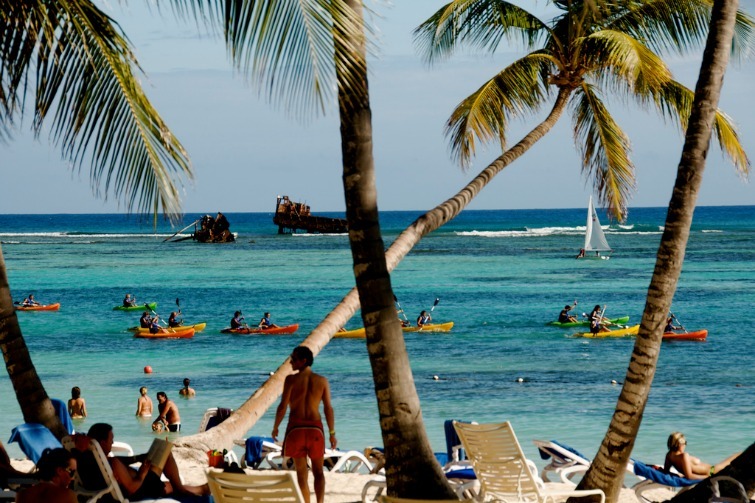 Located on the eastern tip of the Dominican Republic, Punta Cana’s public beach is also popular for water sports including surfing and kayaking. 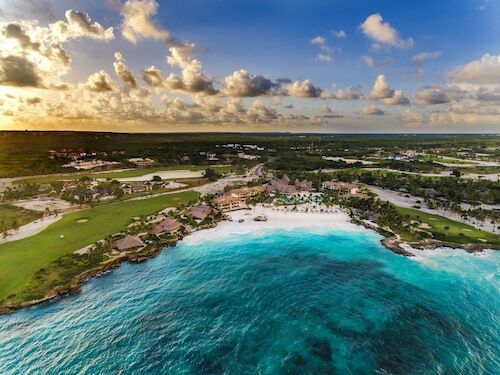 The area is served by an airstrip with regular flights and charters bringing pleasure-seekers to its world-class golf courses and the nearby Scape Park where adventure seekers can enjoy a zipline tour, dune buggies, and visit the refreshing Hoyo Azul Lagoon. A parade of colorful kayaks along a beach in Punta Cana. Photo: ©Flickr/EdYourdon. Playa Dorada is one of the most popular beach destinations on the Dominican Republic’s northern coastline. This massive resort complex, known as the country’s first tourism destination, lies on a gorgeous stretch of replenished beach surrounded by coconut palms. The resort area is home to the Robert Trent Jones golf course and has a ton of facilities and amenities including restaurants and shopping. Note: To book tours, activities, and things to do in the Dominican Republic, visit our travel partner Viator. The country’s capital Santo Domingo is a picture of Old World charm with remnants of its colonial past scattered throughout the city. Santo Domingo has the oldest existing cathedral in the Western hemisphere, aptly named the First Cathedral of America. The historical city is also home to the Museum of the Royal Houses and the early 16th century Alcazar De Colón built by the son of Christopher Columbus. Also in Santo Domingo is the UNESCO World Heritage Site Colonial City (Zona Colonial), which boasts Spanish old world architecture and quaint cobblestone streets. Other notable sites showcasing the country’s rich cultural history include The Plaza de la Cultura, which houses the Palace of Fine Arts, the Museum of Modern Art, and the National Palace. The National Palace in Santo Domingo. Photo: ©Flickr/Jean-MarcAstesana. The abundance of flamingos and iguanas are the main attraction at Lake Enriquillo (Lago Enriquillo), which has the distinction of being the largest saltwater lake in the Antilles. Located in its center is the Parque Nacional Isla Cabritos, one of the largest natural reserves of American Crocodiles, and over 100 species of flora. The park is also home to 62 species of birds. The rich biodiversity of the Eastern National Park (Parque Nacional del Este) has made it the ideal habitat for an abundance of tropical plant and animal species. Named a UNESCO World Heritage Site, it has one of the largest marine parks in the Caribbean, with manatees, bottlenose dolphins, four species of sea turtles, as well as numerous species of fish. The park is also home to the rare Paloma Coronita, known also as the crowned, or white-headed dove, in addition to the rhinoceros iguana and 112 species of birds. 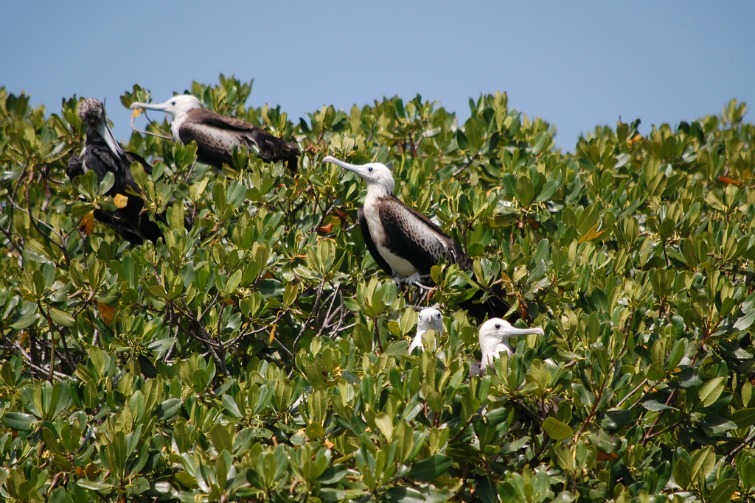 Magnificent frigate bird nursery in red mangrove at Parque Nacional del Este. Photo: ©Flickr/Christine&JohnFournier. In the months of January and February, the Samana Bay Peninsula is a prime spot to see humpback whales birth their calves. This is just one of many marine animals which frequent the waters off Samana Bay. It is the ideal spot for lovers of nature, where they will find the Parque Nacional Los Haïtises, a natural utopia of lush vegetation, crystal clear waters, thick mangroves, and unique rock formations rising from the sea. Visitors can also find bird-filled caves like the Cueva del Angel as well as the Salto El Limón waterfall, which is one of the most scenic beaches in the country. The remote Bahía de Las Águilas is a six-mile stretch of magnificent, unspoiled beach on the Dominican Republic’s southwestern coast. The calm, turquoise waters of the protected Jaragua National Park abound with marine life as well as several species of birds. The area is best accessed by boat from the small village of La Cueva. 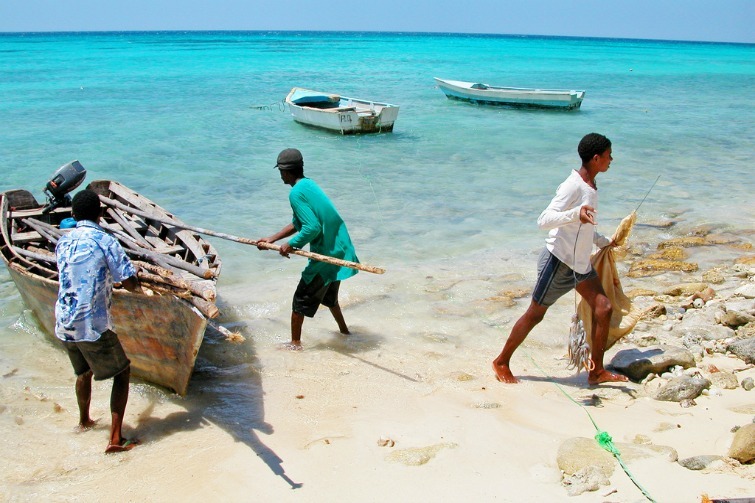 Local fishermen along the Bahía de las Águilas. Photo: ©Flickr/MattHintsa. The Basilica de Nuestra Senora de la Altagracia draws people from all over the country to its annual Mass on January 21 each year. The building, which is known as a leading pilgrimage center in Latin America, is also recognized as a modern architectural wonder. The Altos de Chavón is a quaint replica of a 16th-century artisans’ village located in La Romana. Set on the southeast coast of the Dominican Republic, La Romana is home to the luxurious Casa de Campo Resort where the rooms were partly decorated by famed Dominican designer, Oscar de la Renta. The Teeth of the Dog golf course, one of the best in the Caribbean, is also located at this resort. La Romana is also close to the popular cruise destination of Isla Catalina. Workers at Altos de Chavon Village. Photo: ©Flickr/Puno3000. Río Yaque del Norte, the country’s only whitewater river, is located in Jarabacoa. The area offers an impressive taste of eco-tourism, with its waterfalls, rivers and rugged terrain. The destination is fast becoming a popular spot for rafters and adventurers and is perfect for outdoor activities like hiking, mountain biking, and rock climbing. For flight and hotel deals to the Dominican Republic and the rest of the Caribbean, check out our Caribbean travel partner, Expedia.com. Boutique Hotel Palacio: Two blocks from Cathedral of America and right in the center of all the historical and cultural attractions, this boutique hotel is a handsome conversion of a former president’s home, with stylish yet electric furnishings. Hostal Nicolas de Ovando Santo Domingo – MGallery Collection: This exquisite luxury hotel housed in three restored early-colonial mansions is listed as a World Heritage Site by UNESCO. The elegantly furnished rooms, with sumptuous linens and antiques open to lovely courtyards that are lit by candles at night. Renaissance Jaragua Hotel & Casino: Soaring over the Malecon, this hotel overlooks the Caribbean sea and has a huge swimming pool, a casino, fitness center, full-service spa and lush gardens. The spacious guest rooms are all tastefully decorated. Eden Roc at Cap Cana: This oceanfront resort is in a stunning location and provides the perfect place for rest and relaxation. The ultra-luxurious suites all have huge windows, high ceilings, and private pools. The hotel also has gourmet restaurants, a spa, three golf courses and a full-service marina. Sunscape Bavaro Beach: This resort is located right on Bávaro beach, Punta Cana, which is recognized as one of the 10 best beaches in the world. It is an upscale adult only resort with spacious rooms and stylish decor, 80% of them being located right opposite the beach. The resort also has 9 a-la-carte restaurants, a casino, theater, 18 hole golf course designed by P.B. Dye and spa. The Reserve at Paradisus Punta Cana: With colorful suites, Kids zone along with seven pools (five pools for adults and two for children), this is a great family option. There are also 8 bars and 11 restaurants along with a 27-hole golf course. Top photo: The amphitheater at Altos de Chavón. Photo: ©Flickr/Herr_S.